Joe Walker needs a loan from his buddies, but before they shell out the dough, they want Joe to stop being a manwhore. 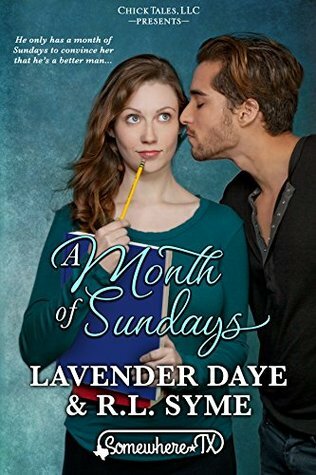 They dare him to date the same woman for a whole month and decide he should ask out the librarian, Krista Foley. Krista is reluctant at first, but when Joe offers to help on her fundraiser she agrees. Because of their schedules Joe and Krista can only go out on Sundays. As these two get to know each other better, they begin to see how much they enjoy each other's company. Of course past demons will bring in a little doubt into their budding relationship. The story was sweet and you get to see how these two come together, you really get to see their growth and love. It really was a very well written story; the characters were so open and realistic.